Head coach Aly Simons is originally from Lake Oswego Oregon, where she was a pioneer for girls lacrosse in that area, running girls lacrosse camps for 5 years before moving to Southern California. 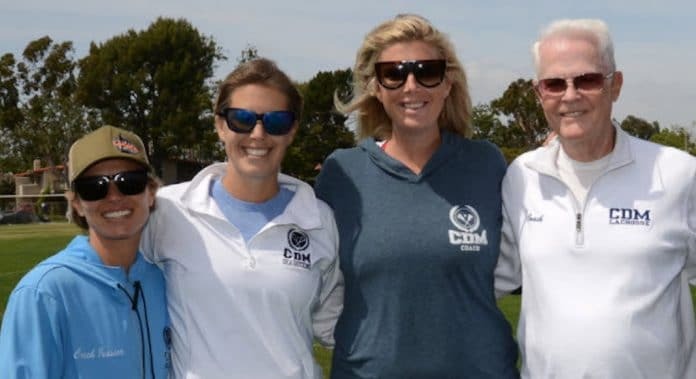 Ten years ago in 2009, she took over the Corona Del Mar High School program and was pivotal in growing Wedge youth lacrosse in the Newport Beach area. In 2012, Aly was named OC High School Coach of the Year when the Sea Queens made it to the OC CIF Finals. In 2011, she also helped lead Chapman University to the WCLA DII National Championship and in 2012 helped the Panthers to a #12 National Ranking in WCLA DI. In 2012-2014 she was the head coach of UC Irvine and instrumental in starting the UCI Annual Fall Lacrosse Tournament. Varsity assistant coach Jessica Murray, an east coast transplant grew up in Annapolis, Maryland. She attended and played at The University of Virginia where she was a team captain and an All-American. She has coached at all levels including youth in San Diego, high school at the Bishops School in San Diego as well as Saint Stephens Saint Agnes in Alexandria, Virginia, and at the college level at The University of North Carolina. She is passionate about teaching the game of lacrosse ensuring everyone has fun and learning the importance of being on a team. She is the mother of three children Tatum (11), Tucker (9), and Boden (4). Varsity assistant coach, Jackie grew up in Summit, New Jersey where she started playing lacrosse in elementary school. After high school she attended Whittier College where she played lacrosse and was on the swim team. She started coaching the youth league for Torrey Pines in 2009. In 2011, she moved back east and coached the varsity team at Kent Place High School in Summit, NJ. She came back to California in 2012 where she started coaching for the West Coast Starz Program, Torrey Pines youth program, La Costa Canyon JV team and landed in Newport Beach in 2016! Program assistant coach, John Stuart had extensive youth coaching experience prior to his affiliation with CdM Girls Lacrosse through the American Youth Soccer Organization (AYSO), being certified by both AYSO and the USSF and eventually becoming the Section Head Coach in which role he organized clinics to certify other AYSO coaches. He played lacrosse collegiately at MIT and has put that experience to work as a volunteer coach for CdM Girls Lacrosse since 2014, supporting all levels of the program.